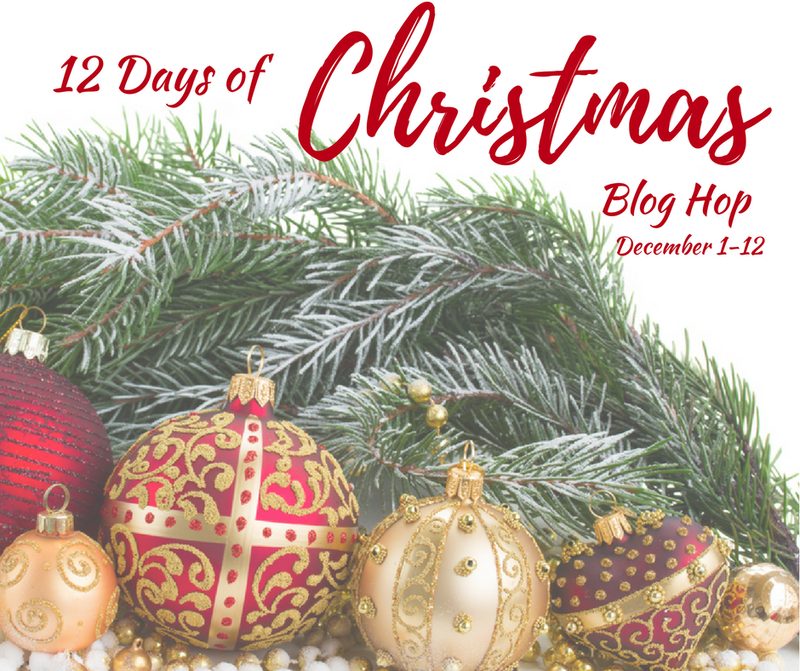 Welcome Back to Day 7 of the 12 Days of Christmas Blog Hop! 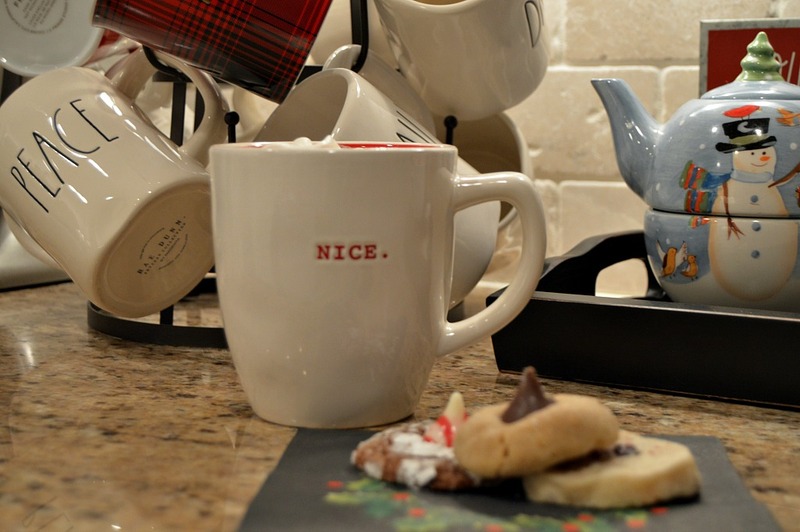 Today we are sharing how we have decorated our kitchens to incorporate a festive hot cocoa bar! Winter in New England means snow. Some of my favorite childhood memories were of our snow days. Early in the morning, my brothers and I would listen intently to the radio as the DJ announced the school delays and cancellations. When we would hear our town called, we knew it would be a day of sledding and building snow forts. Of course, it would end with a warm cup of hot chocolate. 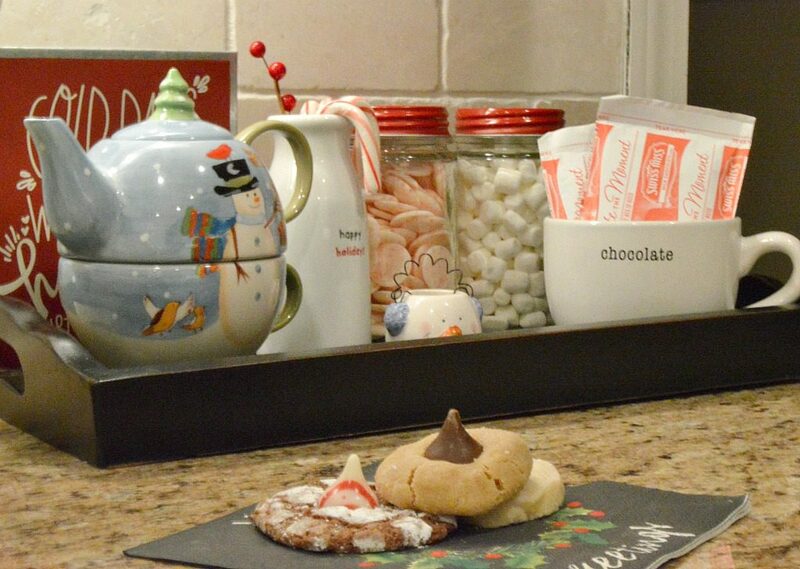 Now as an adult, when I decorate my home for winter, I like to create a hot chocolate bar for my family. 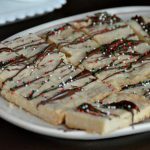 The scents and tastes of our small hot chocolate bar have always brought back warm memories of my own childhood and it’s a sweet treat for my own kids. I don’t have a large kitchen and don’t like cluttered counter-tops. As a result, I create my hot chocolate bar within a tray. Trays are one of my favorite organizational tools because they keep items corralled and counters clear. This particular tray is from Hobby Lobby. Begin with clear glass containers for toppings, such as marshmallows and peppermint candies. Candy canes are a must. They make great stirrers and when they melt, you are left with delicious peppermint flavored hot chocolate. Add the actual hot chocolate. You can use packets, as I have done, or get a container and fill it with hot chocolate powder. Lastly, add a few decorative touches to personalize your space. 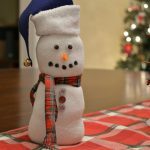 I filled my out with a festive sign from Hobby Lobby, a snowman teapot and candle. 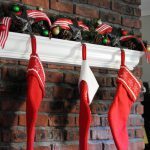 To keep with my favorite farmhouse style, I added a collection of mugs, using this mug tree I found on Amazon last year. 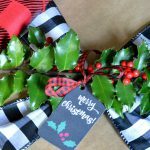 It is one of my favorite kitchen accessories that I use throughout the entire year. I hope that you all enjoy cozy winters days with some warm hot chocolate. 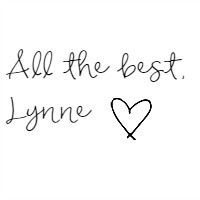 Hi Lynne! I love your hot cocoa station! 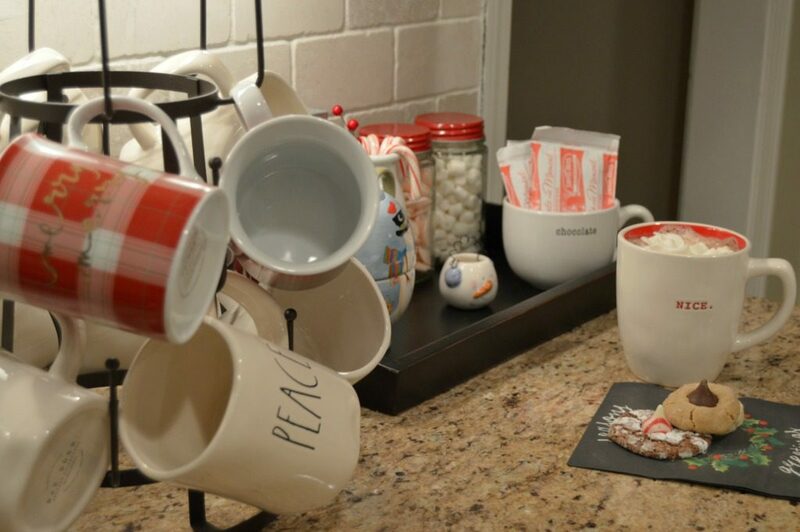 The tray from Hobby Lobby fits perfectly in that space, with just enough room for the fabulous farmhouse mug tree. 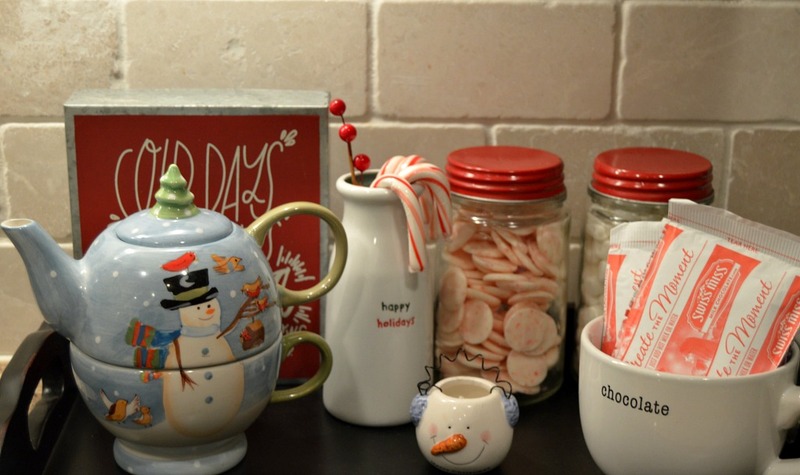 I agree that candy canes are a must with hot cocoa…I just love that peppermint smell and taste! Have a wonderful Thanksgiving with your family!